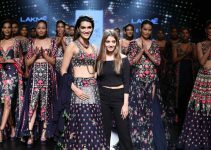 Ethnic, a brand for women has recently launched its new collection for women. These have very attractive features like they can be worn with the trousers as well as with the skinny jeans. They are in, in the mind of ladies who want to look gorgeous than ever. You can try this type of wear in parties, occasion, gatherings, functions and other social events. As we all know that when it comes to fashion in Pakistan. Outfitters is one of the brand which is always on the top of the list. This brand is basically originated by Pakistani designer. From the transformation Idea to Market Leader ship this brand has awesome coverage all over the Pakistan. Outfitters, Outfitters Junior, Bang and Ethnic are all brands of the same company Times Clothing Pvt. Ltd. It was Established in 2003.Their headquarters is located in Lahore over an area of 70,000 square feet. Times Clothing is one of the companies who introduced the fast fashion business concept to Pakistan. Times Clothing Pvt. Ltd. has a long-standing promise of sustainability and consistency. From product manufacturing to the core operations of supply chain this company is a greatest example of sustainability. Their design of manufacturing and distribution is also of great kind. From its early days in 2003 it was just a manufacturer of knits and woven. But now it is expanded its product range. It also specializes in design manufacture, product marketing and the distribution of ready-to-wear apparel and accessories. It is an astonishing fact that it is producing more than 1,800,000 pieces annually. Outfitters which was established in 2003. It is the retail store of Times Clothing Pvt. Ltd. 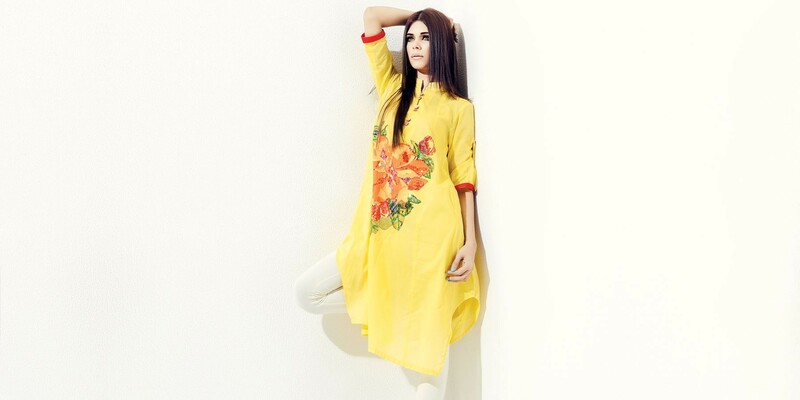 It has grown to become the market leader in clothing in Pakistan. They have more than 65 stores in almost 14 cities. In the start of this brand Outfitters focused on Men’s wear and Women’s street smart fashion. But after few years later in 2008 they also launched a brand for kids by the name of Outfitters Juniors. Now In 2009 another brand which is altogether focusing on the wholesale side of the market. It has a bang name in the market. This namely bang was launched in2011. It is a brand for women who still like to wear eastern clothes, Ethnic. If you have the love for fashion, Ethnic is for you. If you have a lazy summer day and you like to shop in evenings or nights, the teenage student or the hang-out maniac, the elegant professional or the party lover person, Ethnic has all the sides of different lifestyles covered under one umbrella. Their collections are extensive and one by one new stores are coming in the market. The women’s collection is made for fashion-minded ladies and girls. The extended range includes every type of women wear including casuals to tailored classics. The modern designs and cutted-edge fashions today. To take a heavy complement and to complete your look there are also many irresistible accessories including bags, colorful bangles, scarves, long and short shoes, funky belts and hot necklaces. In these pictures shown below you can see the distinction of ethnic clothes among other clothes. If you see deeply you will notice that the colors of outfitters are bright in such a way that they become the centre of attraction. They are designed in different cuts for different type of bodies. One can easily wear it as a casual or as a formal. These colors are particularly for Summer Collection of Girls Dresses. Note: All These Images are Downloaded from www.outfitters.com.pk. If you want to Use any of them as a Commercially, than you should get permission from the Respective Owner.